ACT Ohio affiliate members are focused on future-ready workforce development. The Building Trades spend nearly $48 million in training annually to ensure that its workforce meets the changing needs of its community. The accomplish this through apprenticeship, safety, and journeyman upgrade training. 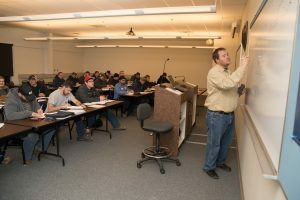 A Joint Apprenticeship and Training Committee (JATC) provides funding, support and standardized curriculum, including OSHA safety training, for each union training program. 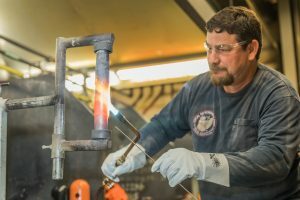 At state-of-the-art training facilities, ACT Ohio member unions educate their apprentices with the skills and knowledge necessary to work efficiently and produce high quality craftsmanship. A union-trained Journeyman receives certified training and is kept up to date in the latest safety and technological developments throughout their career. ACT Ohio member unions, through their JATCs, invest millions of dollars each year to ensure that their organized construction workforce is the safest and most qualified in the construction industry – at no cost to taxpayers. – By using union-trained construction skilled craftsmen and women, owners receive professional workers who help complete jobs safely, on time and on budget. – Union training provides signatory contractors with access to a large pool of the state’s top-rated skilled workers, which means expanded bid opportunities and greater hiring flexibility. – Union training creates the most highly-trained and skilled workers who are prepared for any job, which, in turn, results in higher wages and benefits than their non-union counterparts.